Brenda just laid the August issue of THE Journal on my desk. 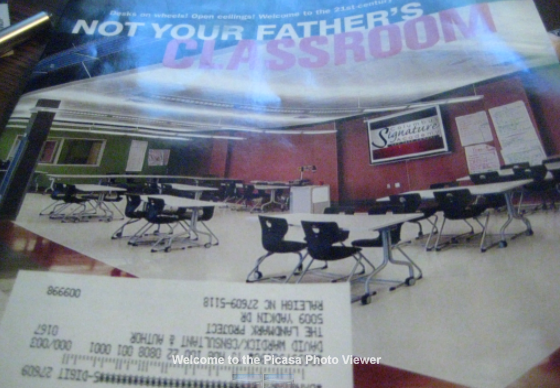 Glancing over at it, I saw the headline, “Not Your Father’s Classroom,” with a photo of “modern” classroom, evidently from the Columbus Signature Academy. What strikes me about the room is how much it reminds me of the classrooms I visited back in the 1990s down in Beaufort, South Carolina, where they were instituting one of the earliest 1:1 initiatives that I was aware of. It seemed that the ubiquitous access to information and information tools (I do not believe that they had Internet) demanded that students face each rather than facing the teacher. This is not to say that the teacher was not a central character in the classroom. It’s just that they were not, necessarily in the middle of the classroom. I’ve got some reading for the flight to St. Louis tomorrow. The survey, the 2009 CSTA National Secondary Computer Science Survey, collected responses from some 1,100 high school computer science teachers conducted in spring 2009. Of those, only 65 percent reported that their schools offer introductory or pre-AP computer science classes. This compares with 73 percent in 2007 and 78 percent in 2005. Only 27 percent reported that their schools offer AP computer science. This compares with 32 percent in 2007 and 40 percent in 2005. I’m probably wrong to feel this way, but the declining number of AP classes doesn’t interest me that much. The more I hear and read, the more I realize that AP has less to do with advance study than with test prep. 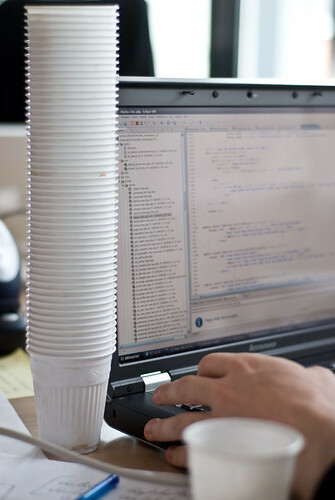 The survey also asked participants whether their schools offered computer science content in courses other than introductory or AP computer science classes. Seventy-four percent reported that their schools do, compared with 85 percent in 2007. (Numbers were not available from 2005.) These classes included Web design (67 percent), computer graphics (51 percent), communications (40 percent), programming (39 percent), networking (16 percent)), and applications (11 percent), among several others. Interestingly, and a shift from the patterns of the past, the number of students enrolling in computer science courses does not seem to have declined. According to the article, 23 percent of participating schools reported increases in enrollment, and 55 percent reported no real change. Only 22 percent reported decreased enrollment. ..lack of teacher subject knowledge, lack of student subject knowledge, difficult subject matter, lack of student interest, and lack of hardware and software resources. The hindrances to professional development cited by participants included facilities and resources, training opportunities, training cost, and, at No. 1, time for training. OK, time is a biggie. Lack of professional time built into the work day is the great progress killer. But even at that, in this day and time and in today’s prevailingly participatory information environment, not having enough access to workshops shouldn’t prevent a computer science teacher from finding ways to keep abreast of their field. The number of high school students heading into computer science fields is not what concerns me here. My son has switched majors to computer science, and has decided to take a semester off, because all they’re teaching him is syntax — almost no application beyond simulating random dice throws. 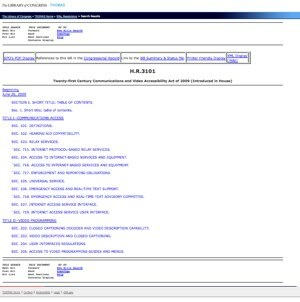 What concerns me is a lack of opportunities for high school students to learn how advanced computer applications (beyond Microsoft Office) can be used in the application of knowledge in biology, physics, medicine, history and sociology, and communication. An innovation economy is not going to emerge out of more rigorous computer science courses. It’s going to emerge from learners who understand their world and who have the skills to take that understanding to new places. That means being able to work their knowledge. It seems John Quincy Adams was way ahead of his time. A high school student touring the sixth U.S. president’s archives recently noticed his bite-sized diary entries looked a lot like tweets. 8/5/1809: Saturday. Diary Vol. 3. begins: Sailed in Ship Horace, Benjamin Beckford, from Charlestown to St. Petersburg. 8/6/1809: Thick fog. Scanty Wind – On George’s Bank. Lat: 42-34. Read Massillon’s Carême Sermons 2 & 3. Ladies &c. Sick. 8/7/1809: Fog. No Observation. Spoke a fishing Schooner from Grand Bank, bound to Plymouth. Read Chantreau’s travels. The WRAL article indicated that the Society would include a “presidential tracker” of sorts, linking maps to show Adams progress on a diplomatic trek to Russia as U.S. minister.” However, I was not able to find this map. If you know of its URL, please post as a comment. The instructional applications of something like this are almost limitless. Students can map the progress themselves. Students might be asked to take the daily short tweets and expand them out into a longer diary entry in period or in contemporary speech. They might reply to the tweets, or pretend to be part of the entourage and tweet out from there. This, of course, assumes that you have the ability to unblock Twitter for the activities. Here is the Beehive post (John Quincy Adams, Media Darling) on the project from the MHS. I’m sitting in the kick-off for the Marietta City Schools new year. Their teacher of the year, a high school Math teacher, displayed pictures and listed the names of the 2009 graduating class. She asked teachers who had ever taught any of the students to stand and accept the applauds of the audience. What’s I find so interesting about this project is that the students are learning about history (or what ever the subject) by acting like historians. When a historian encounters a new artifact or a new idea from a fellow historian, part of the job is to find the evidence that the object or ideas is appropriate to the conclusions that it implies. Does its acuracy, validity, reliability… support the message? I had a great day, yesterday, in Byron, Minnesota — though this morning got interesting when I suddenly realized that my flight out was at 7:40 instead of 11:40 (They rhyme). I discovered the mistake at 6:40, but made the flight, thanks to a very friendly cab driver with a very heavy foot. He earned his tip. 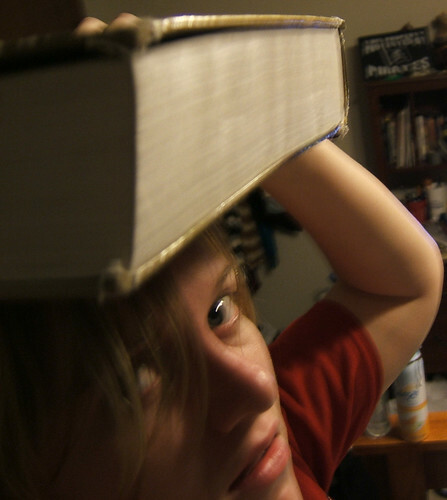 ..create a single wiki, “A Critical Supplement to Major History Textbooks,” and create a page on it for each textbook we’re using, in whatever class. In our classrooms, we assign student teams to tackle each section of the textbook by identifying any perceived biases, coverage emphases and de-emphases, omissions, errors of fact, and so forth, in that section, and publish their findings on that textbook’s page on the wiki. It occurs to me how audacious this idea would have been when I was teaching history — questioning your textbook. It would have felt like pulling the rug out from under yourself, while your still standing on it. Shift happens! You can learn more about the Clay’s project here and here. There is always, for me, a week-long death march sometime during August. Schools and school districts are starting up the new year, and often with a conference-style professional development day — and some out-of-town speaker to bring the word with a strange and exotic accent. Ya’ll know what I mean… I leave in just a couple of hours for work in Minnesota, Florida, Georgia, and then back to Durham, NC. So I probably shouldn’t be spending this time blogging. ..takes the laws of captioning for television and applies them to the Internet. What this means for educators is, in the future when they give their students assignments like “watch this internet video and write about it” the students will not only be able to watch the video, they will be able to read captions, reinforcing their reading and language skills! ..if the educator has a deaf student in the classroom, bonus! They won’t have to worry about whether that student will be able to do the assignment! Already, some teachers do assign internet video to students and deaf students in the class can’t do the homework assignment! I typically do not chime in on legislation. The issues are usually far more complex than they are often spun out to be. But I’ll briefly voice some concerns here. As someone who is pretty severely hearing-impaired, I can identify with the desire for captioning. My father, whose hearing has recently started to decline, runs captioning on his TV all the time now. I think that this bill is a wonderful idea — whose time has not come. One of the greatest benefits of an increasingly networked and open information environment is that the ability to publish content has been incredibly democratized — not just politically, but economically. Almost anyone can share or teach something on the Internet and we all have something to teach. However, if we are required, by law, to also provide captioning for our video communications, then the ability to share becomes narrowed to only those who can afford the time, staffing, and the technology. We go back to the publishing industry as the prime source of content — which I think is a huge step backward. Again, I think that this is a wonderful idea — but would suggest that we wait until technology is available that could automatically handle the conversion. 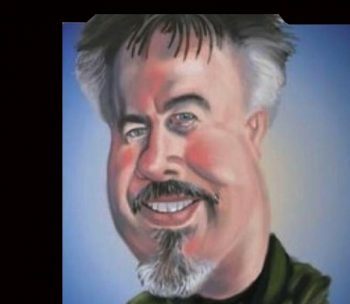 Author David WarlickPosted on August 2, 2009 August 2, 2009 Categories education7 Comments on Captioning of Internet Videos? My friend, Janice Friesen, recently spent five weeks traveling throughout the Mediterranean. Her husband is a religious studies scholar, and I assume this had something to do with the trip. 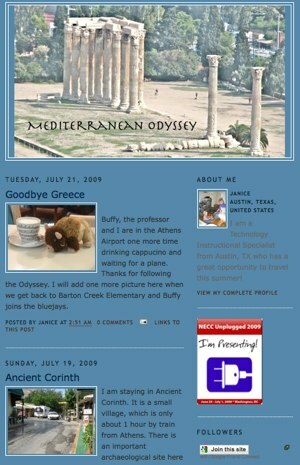 As part of the experience, Janice (an instructional technologist in Austin, Tx.) kept a blog describing what they were seeing and learning. Before leaving, she invited social studies classes to monitor and discuss what she was writing. I’ve read through parts of it, post excursion, and it’s fascinating. The Mediterranean an area of the world that I have only glanced at (Barcelona, 1997), but would love to tour. What’s more, I see this sort of thing as a potentially motivating way to get students to talk about and challenge themselves to learn more about a region — by reading travel blogs. When covering Roman life, the class might read those entries and then generate some questions from what Janice has seen and been motivated to write about. Then, through discussion, the questions can be refined into research tasks and then, perhaps, personal blog writing, about digital tours.